The theme of the Sault Naturalists outing to the Foster Parkland and Walking Trails, part of the Kensington Conservancy, was “how to identify goldenrods and asters.” These fall-blooming flowers light up the vacant fields and roadsides throughout Algoma, and it is challenging to clearly separate the species. To start the hike we consulted plant books and a handout that contained a few characteristics of each plant. We reviewed a few terms that are needed to understand the parts of these plants: e.g. clasping leaves, peteolate leaves, toothed or entire leaves and flower heads. Then the fun began. Part of the interest in natural history is the joy of leaning new things. More than 10 species of goldenrod and over 12 types of aster occur in the Algoma area, all beautiful in their own way, and often closely resembling one another. For this trip, we found 8 different asters and 2 goldenrods. Canada goldenrod is very abundant throughout Algoma and is easily identified by looking closely at one of its leaves. Each leaf has a central vein near the middle and two parallel veins on each side. 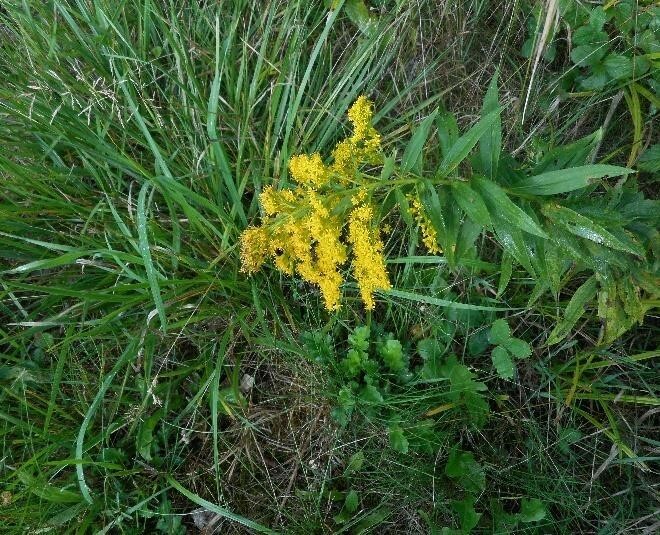 As well, when you observe a goldenrod plant with a round swelling on its stem, (the Goldenrod Ball Gall) you know that it is probably the familiar Canada goldenrod. Inside that swelling is the egg of an insect called the “Goldenrod Gall Fly” which will hatch next spring. Downy woodpeckers sometimes peck out the larvae of this fly in late winter. On this trip, there were eight different asters, all beautiful and all interesting and sometimes challenging to identify. Lindley’s aster is very abundant throughout the Algoma Region. 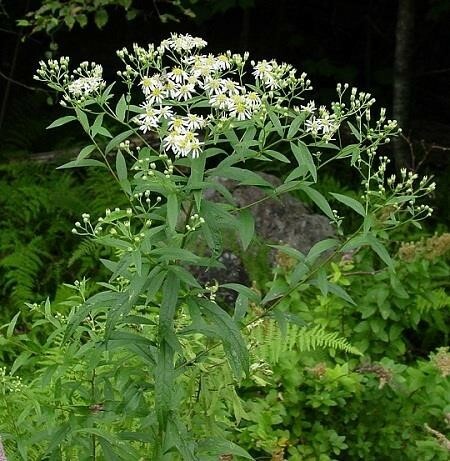 It grows along ditches, in old fields and sometimes in openings in the forest. 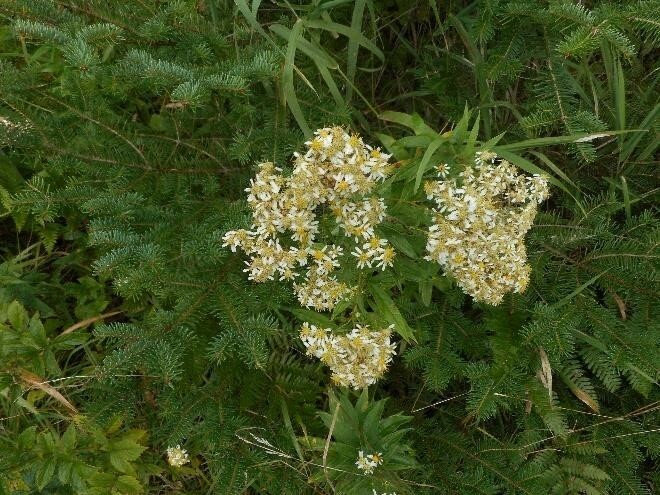 It has lots of beautiful flower heads and usually 15 to 25 rays in each head. 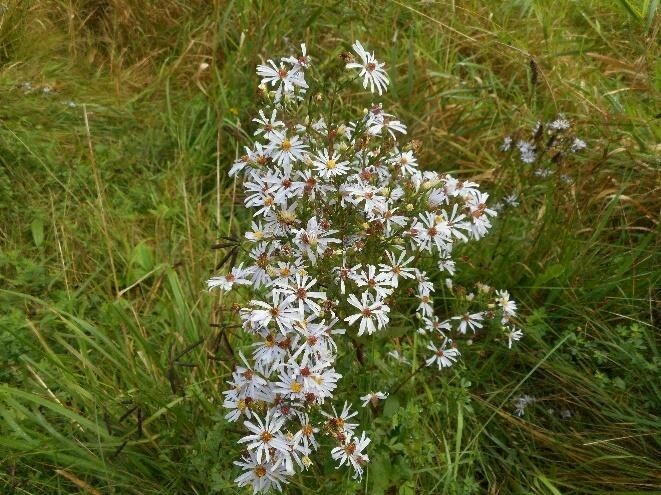 The flowers of the flat-topped aster are white and very small. They are distinguished from other white-flowered asters by forming an “umbral”. The stems produce the flowers in such a way that, when viewed from the side, it forms a “flattop”. For the first three hours of the outing, the weather was pretty good, no rain, a few clouds, and comfortable temperatures. We walked to the Foster Parkland and Walking Trails look-out studying other plants along the way. We stopped for an unusual member of the Aster Family called white lettuce. As you can see we studied this plant together and, with the help of Rob Routledge, identified it. Then on to the look-out for lunch! Our next stop on this interesting and rain-free day, so far, was the Black Hole Preserve, another Kensington Conservancy property. The purpose of the walk into the Black Hole was to practice identifying the plants we had studied earlier. However, our day that had been rain-free until now, suddenly turned dark, and the clouds moved in and gave us a refreshing shower. 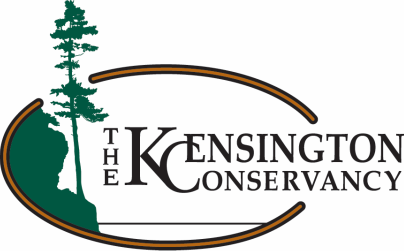 Thanks to Carter Dorscht, staff member from the Kensington Conservancy, for attending. More photos from this outing can be found here. 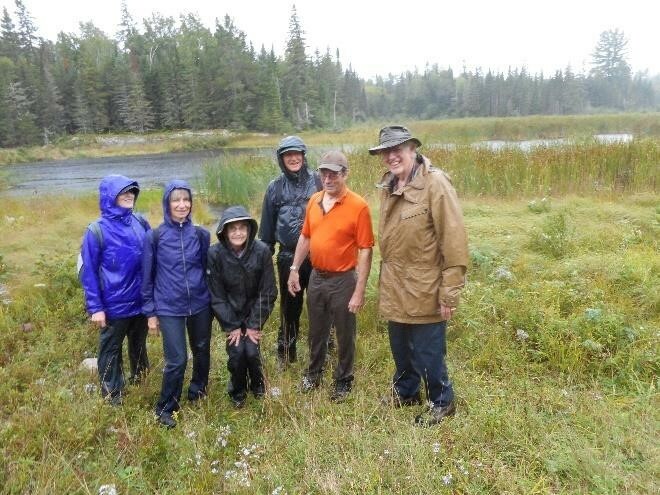 Six happy people, wet from the rain, but glad we could enjoy the day, rain or not. 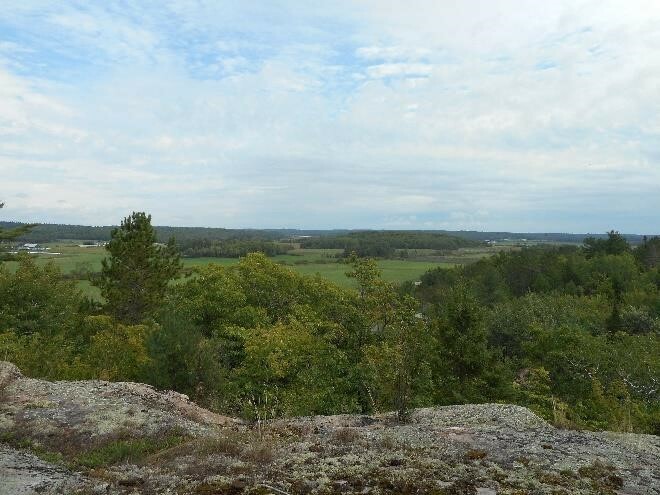 View of the Desbarats Plains from the Kensington Conservancy’s Foster Parkland and Walking Trails.